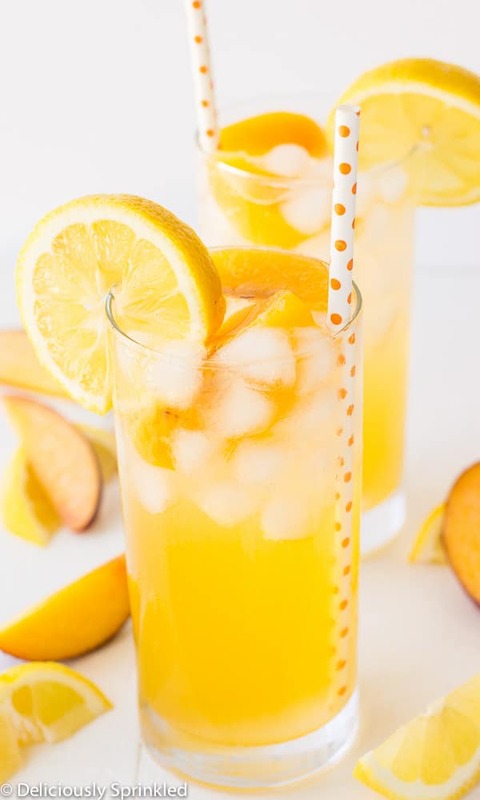 This Fresh Peach Lemonade is so refreshing filled with fresh peaches and freshly squeezed lemon juice. We had a great week off spending time with family, enjoyed some awesome music at Summerfest in Milwaukee. We also went to the beach and found this awesome new tiki bar place only like 30 minutes from our house but it felt like we were back in Punta Cana on vacation drinking fruity drinks on the beach, such a fun place we will definitely be going back soon. And of course, we celebrated 4th of July with a cookout & fireworks! But now it’s back to work and today I have this super easy to make Fresh Peach Lemonade recipe for all of you. 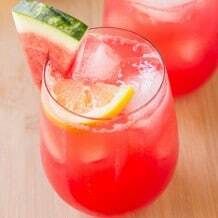 It’s perfect for these hot summer days! I love making my own lemonade during the summer. And my new favorite is this Fresh Peach Lemonade! 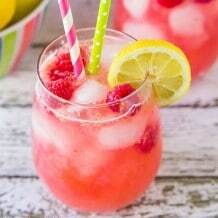 All of my lemonade recipes are easy but this one is the EASIEST one to make of them all. All you need is sugar, lemon juice, and peach nectar. Mix it all together in a large pitcher and let it chill for at least 2 hours. That’s it. I told you, it was simple. 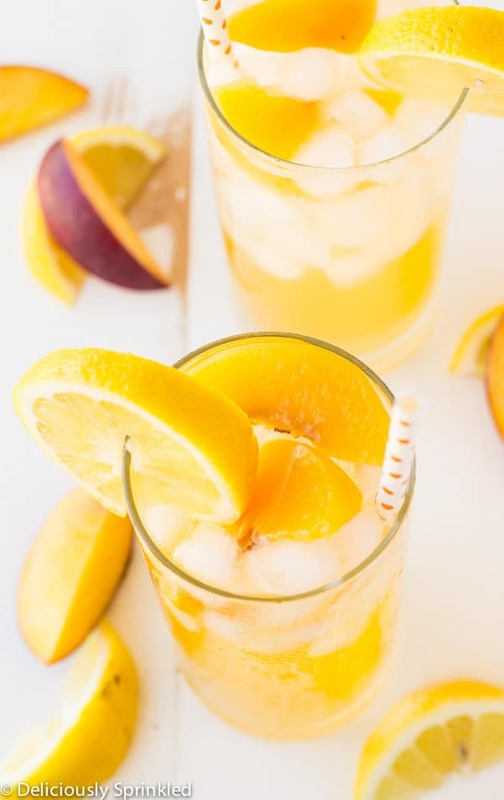 So next time you are at the store or your local farmers market pick up some fresh lemons and peaches to make this refreshing peach lemonade. 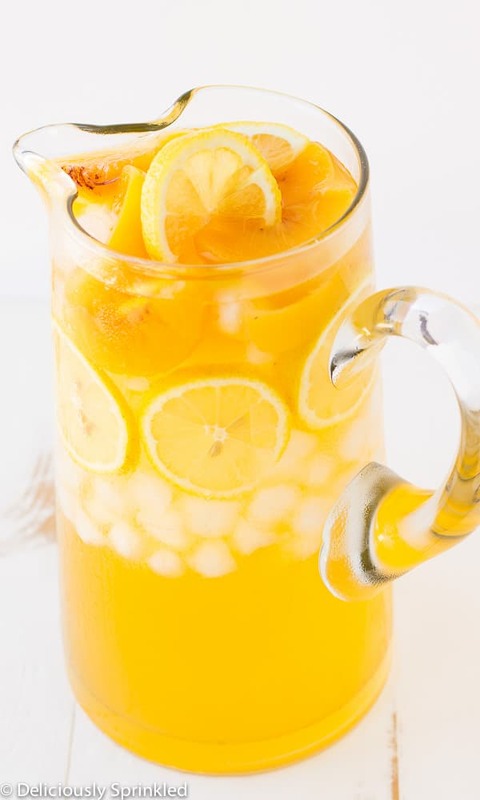 In a large pitcher combine sugar, water, lemon juice and peach nectar. Stir until sugar dissolves. Cover & chill for 2 to 24 hours. 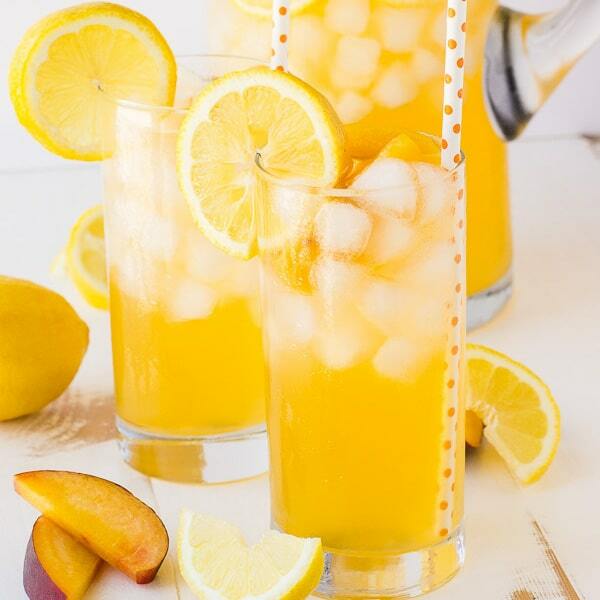 Serve on ice with lemon slices and peaches.